In South Sardinia. 6 cottages. Short walk away from sandy beaches. Eco-friendly sustainable architecture was used to refurbished some old barns. From the wooden gate enclosing the buildings, one steps directly on flat rocks and the sea. Here one can swim from morning until late in the night! Only a short walk away are 2 sandy beaches. One of them is services by a beach kiosk which serves small snacks and drinks. Peace and privacy surround this amazing place of timeless beauty. Porto San Paolo, south of Olbia. Sleeps 2+1. Villa on the beach. From €600 EUR per week. Romantic haven with Mediterranean gardens and a large terrace with hammock boasting stunning views of the beautiful golden beach below and of the isle of Tavolara. Alghero. Sleeps 7. A seaside old Spanish Tower, hosting a 3 bedroom apartment touching the sea and exotic white sandy coves. A charming beach apartment skirting the sea and a secluded sandy cove. Almost surrounded by water, nestling between rocks and a sandy coves. This romantic apartment is located on the first floor of a tower built in 1800 and surrounded by the private park 10km from the Catalan citadel of Alghero. Perfect for a couple seeking privacy and tranquillity but also for a small family. The tranquillity of this place is highlighted by the private park dotted with olive trees and wild juniper trees which lead to the sea and are part of this exclusive estate. Sleeps 12. Private swimming pool. South of Olbia, Sardinia. Set amongst 1 hectare of private land, a place where comfort and nature conspire to offer a relaxing stay with a touch of luxury! The villa boasts much privacy and amazing sea views! A/C and Wi-Fi. 30 Km to Olbia's private jet airport (Aviazione Generale). Sleeps 8+1. Olbia. An unique sea facing villa with private access to sea from its own terrace. 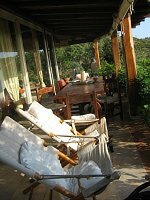 Even in the summer, when the nearby beach is crowded here there is only silence, the harmony of nature merges with the house. During the hottest hours it will be nice to relax and have lunch on a terrace at the side of the villa covered with creepers, it has also beautiful sea view. 20 km from Olbia’s Airport. Sleeps 9. A few steps from a secluded sandy beach, the perfect hide away for a family for an easy relaxing vacation! From €1,400 EUR per week. Beach bungalows and apartments on a secluded, romantic cove. Sleeps 4/6. La Maddalena. Sardinia. 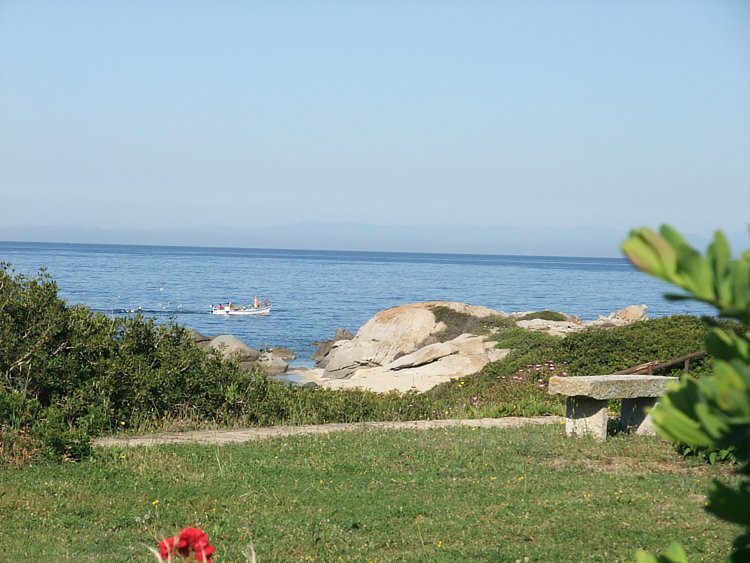 A secluded and picturesque residence just 5 km from the historic centre of La Maddalena Island, off main land Sardinia. 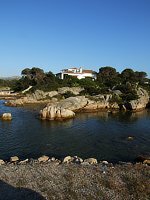 Built on a picturesque cove, wild and stunning, where there was a granite quarry, amongst Mediterranean shrubs and rounded granite rocks. Sleeps 4. Fully restored old barn on Alghero's coastline. Quaint small villa newly built on the ruins of an old barn. Rebuilt with maximum comfort in mind, offers very high standard living spaces and modern facilities. The house is perfect for a small family of 4 or a group of friends. South Sardinia. Sleeps 13+2. Wi-Fi. Villa Paradiso. Amongst the most charming villas of our collection, built by the renowned architect Busiri Vici. 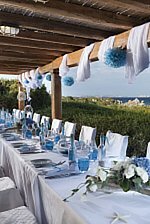 The villa is reserved, private and striking beautiful. The garden leads onto fine soft sand and shallow transparent water. Certainly Sardinia at its very best. Sant'Antiaco, South Coast. Sleeps 8. An exclusive villa bordering the sea. The villa, which boasts the most picturesque terrace of our villas collection. Air conditioning, 4 bedrooms and 3 bathrooms. 100 m to sandy beach. The villa is 4 kilometres from the centre of Calasetta, a charming village of fishermen and farmers, today a lively tourist centre with restaurants, pizzerias, bars, supermarket and a port, from which in a few minutes you reach the island of San Pietro. At about 10 kilometres there is the historic small town of Sant'Antioco, gracious and traditional with white squares boasting tall palm trees and cobbled lanes.